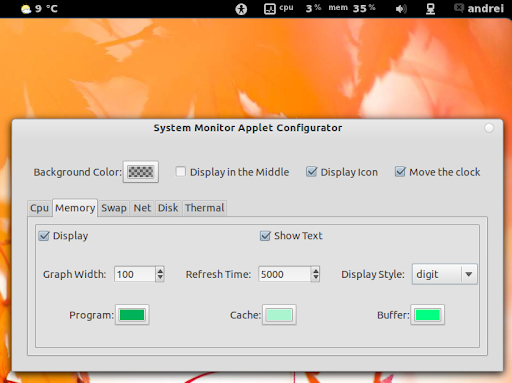 GNOME Shell System Monitor is a highly configurable system monitor extension for GNOME Shell (do not confuse this with the official System Monitor extension!). It can display the CPU, RAM, Swap, Network or disk usage on the top GNOME Shell bar, either as a graph or digits (or both) and you can customize the colors, position and more. Once installed, restart GNOME Shell (ALT + F2 and enter "r" or log out and log back in), open GNOME Tweak Tool and activate the extension. If you're not using Ubuntu, get GNOME Shell System Monitor via GitHub.